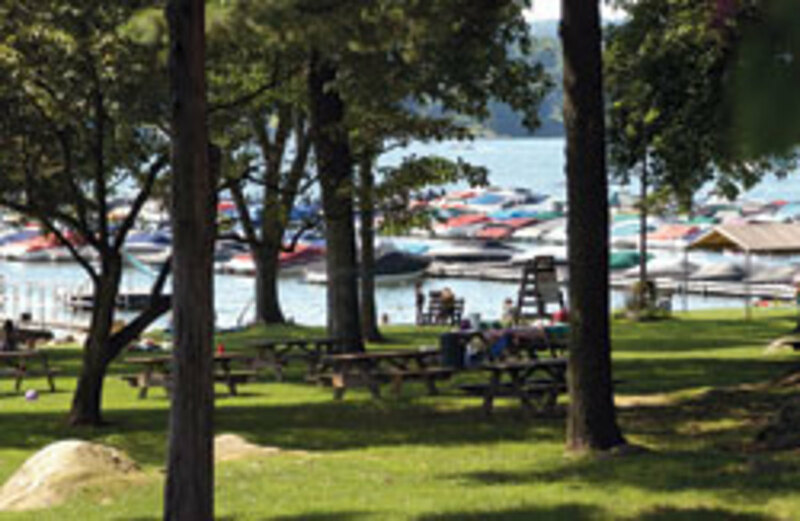 In the spring of 2008, Candlewood East Marina completed a major expansion of its facilities, which include a 240-slip marina on Candlewood Lake in Brookfield, Conn., and a 40,000-square-foot sales and service center across the street. Several months later, the Great Recession began and new-boat sales plummeted at the Cobalt, Nautiques and Malibu dealership. But Candlewood East had an ace in the hole. 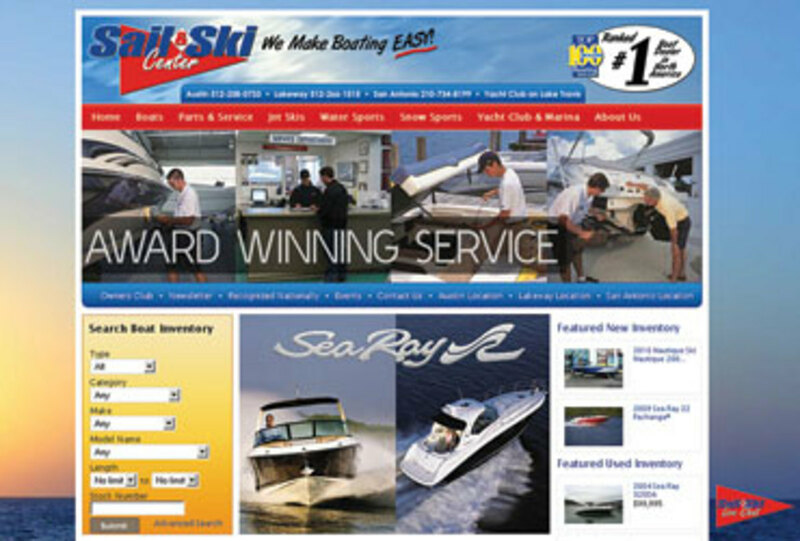 Its expansion included a complete redesign of its website and a partnership with ARI, a leading Internet marketing services provider based in Milwaukee that serves the marine, recreational vehicle and other industries. Although Internet marketing, which includes such tools as search-engine optimization and pay-per-click advertising, is not an immediate solution in difficult economic times, it does open avenues for generating and managing leads and converting them to sales in a more cost-effective manner than most traditional print media. It also improves the tracking of results for every ad dollar spent. In a tough market, that’s an important consideration. Like Candlewood East, Austin, Texas-based Sail & Ski Center shifted to an aggressive and comprehensive Internet marketing program. During the downturn it, too, redesigned its website, which went live last December, and partnered with ARI. Sail & Ski has three locations in Texas and is a dealer for Sea Ray, Bayliner, Boston Whaler and other builders. It also specializes in ski sports. Getting potential prospects to a website is accomplished with many Internet marketing tools, but search-engine optimization, simply referred to as SEO, is a key component. SEO involves designing a new website or changing an existing one to include keyword phrases that search engines will identify as editorially relevant, leading the search engine to rank the website or Web page higher on the list that results from a search-engine query than websites or Web pages that don’t incorporate SEO or are ineffective at employing it. In tech circles, SEO is considered organic. The websites or Web pages on a list come up free, based on their perceived editorial relevance to a user query entered in a search engine. That’s a simplification, of course. There is much more to it from a technical standpoint. Suffice it to say that if your website includes the proper SEO keyword phrases, which search-engine crawlers (also called spiders or robots) automatically identify and rank according to relevance to a search query, you’ll get more traffic in an organic search. Meta tags are also important — essentially HTML-coded information describing the contents of a Web page, which could be a home page or some other page on a website. Users don’t see meta tags, but search-engine crawlers see and use them. Meta descriptions typically show up in a search engine result for that page, making it important to convey a message that’s enticing enough to get the searcher to click on the page. “What search engines want to do is deliver relevant content to what people are searching for, and the search engines are going to rank the results in order of perceived importance,” says David Main, who is head of search for Dominion Marine Media and is based in Fareham, U.K.
A leading provider of online marketing services in the marine market worldwide, the company is a division of Norfolk, Va.-based Dominion Enterprises, which owns Soundings Trade Only. “The relative authority of the site and the trust it embodies in the search world is directly related to where a given company will show up on a page of search results,” he says. Relevant content containing SEO keyword phrases is a vital element of constructing an effective website and Internet marketing campaign. Internet marketing experts say 90 percent of potential buyers, especially of big-ticket items such as boats, consult the Internet first, and 87 percent will only look at the first page of results from a search engine. Eighty percent of all Internet searches are for information only, Main says; the other 20 percent focus on transactions or navigating to a specified website. 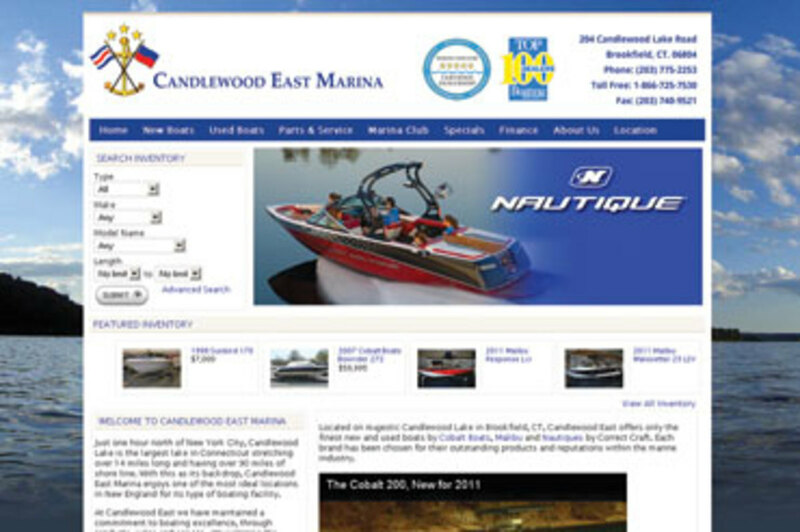 Candlewood East and Sail & Ski constantly change and update the content on their websites, which helps to ensure that the pages remain relevant to repeat visitors — and search-engine crawlers. The other component of online marketing is paid Internet advertising. Pay-per-click ad campaigns are among the more effective tools. Sail & Ski incorporates PPC within its overall marketing strategies, spending ad dollars on highly targeted local markets for products or services, according to Watkins. Hire, or pick a provider? At Sail & Ski, Watkins has two other full-time marketing people to help him build the business online and offline. “We’re a big enough company to have a dedicated marketing team. Most dealers don’t have that advantage,” he says, adding that managing an effective Internet marketing program requires a commitment of time and resources, just like managing a service or sales department. ARI’s Lintvet says it’s not always necessary to tear down a website and start from scratch. SEO keyword phrases can be worked into new or revised content. Graphics and Web pages can be added. At other times, a teardown is more sensible. Upfront fees apply, Lintvet says. For SEO, he estimates that the startup costs for a single-location dealership would run between $500 and $2,500. For ongoing management and support, the fees would run between $500 and $1,500 a month. “You’ve got to consider whether it’s worth hiring someone full-time on staff to manage your Internet marketing or whether you want to farm it out to a company like ours,” Lintvet says. In regard to SEO, he suggests that an outside company would be less expensive. On the PPC side, Lintvet says the startup costs for a single-location dealer would be $500 to $1,500. The ongoing costs per month would depend on the size and scope of the PPC ad program. Candlewood East’s Slater says the company’s Internet marketing initiative has transformed the sales environment. “The whole package is helping us to keep track of inventory, to monitor the level of inquiries in a timely manner and to identify potential new customers and drive them to our site. The Internet is a way of life now and we’re very comfortable with it,” he says.